For the vast majority of the organisations that we work with obtaining customer data is never an issue. They have tons of the stuff. From transactional data to customer survey data and everything in between most companies have all the customer information they need to create insightful, intelligent marketing communication. Yet many of them aren’t. Why? Because they are drowning in data. A recent report published by Econsultancy in partnership with Ensighten entitled “The Customer Experience Optimization Report” offers up some interesting insights into how businesses are deciphering customer data to drive better engagement with their brand. The report looks in detail at how organisations are using data and technology to deliver highly personalised customer experiences and the opportunities and challenges involved. Nearly two-thirds (62%) of respondents felt overwhelmed by the volume of incoming data. The vast majority (96%) of companies declared customer experience optimisation as at least ‘important’, with more than two in five companies (41%) ranking it as ‘high priority’. Only 3% of companies have a strong capability for utilising cross-channel or cross-device data for real-time online or mobile app personalisation. Sound familiar? If you’re like the majority of companies that we work with everyday then the answer is a resounding “yes”! So how do marketers address these challenges and start to effectively decipher and use the data they have available to optimise the customer journey? There’s a misconception that the more data a company obtains the better. Data is valuable right? Well yes but only if it can be used intelligently. That’s why less data used well is far more powerful than a ton of data collected for the sake of simply having more customer data. The focus needs to be on collecting the right data to improve the customer experience. It’s especially true for large organisations that customer data sits in disparate systems across business units with little or no integration. There is no single customer view driving the customer journey. According to the data, customers aren’t recognised as individuals but as duplicate consumers of products across the business. The integration of these separate pockets of customer information is the only way to achieve a true single customer view and drive highly personalised brand and customer engagement. Aggregate data (or “big data”) will quantify customer engagement en masse but customers don’t interact with a brand as a group. They each have their own individual experiences, their own customer journey. If brands want to improve the customer experience they need to improve a lot of individual experiences. Consider how does this one customer interact with your brand touch points? How does this individual actually experience the brand and how does it make them feel? Many brands claim to talk to their customers “one-on-one” but in reality very few are delivering on this. 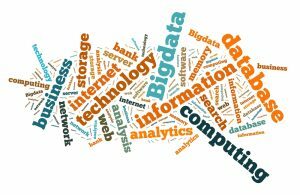 Utilising big data will provide insights on trends and help predict customer behaviours, it has its place and it is valuable. However, it’s the small data that is marketing gold and provides the true insights on individual customer behaviours. Your customers don’t consume your products and services in isolation. They are part of their busy lives and likely experienced in conjunction with other similar products and services. In turn, customer data needs to be analysed as part of a bigger picture for the most valuable insights. Use your customer data in conjunction with a broader range of information available including competitor data and information on industry trends.